Jo Eades: World Cardmaking Day - Who Knew! 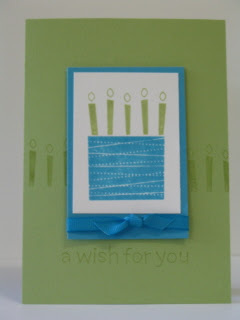 World Cardmaking Day - Who Knew! So, hands up those of you who knew there was such a thing as World Card Making Day (WCMD). Well, OK, there are a few of you since everyone is advertising the fact on their blogs, LOL. In order to celebrate WCMD, Stampin' Up! are offering 20% off each of the Simply Sent kits ordered between October 4 and October 8, 2007. You can see the kits here and here. These kits are pretty cool. They contain EVERYTHING you need to make 10 cards, 5 off 2 different designs. In my opinion, the best thing about these kits is that the stamps sets in them are DIE CUT. What does that mean - no cutting or trimming before mounting onto the blocks! 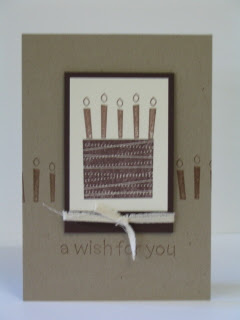 I have the 'A Wish For You' kit, and I thought I'd show you a sample from the kit and then a sample using different supplies. I kept the layouts the same, I just wanted to show how easy it is to substitute other colours in to get different effects. So this is the first - using Certainly Celery and Tempting Turquoise. This is the 'kit' card. It was surprisingly easy to line up the candles on the top of the cake, and it most time consuming part of the whole card was the ribbon tying! 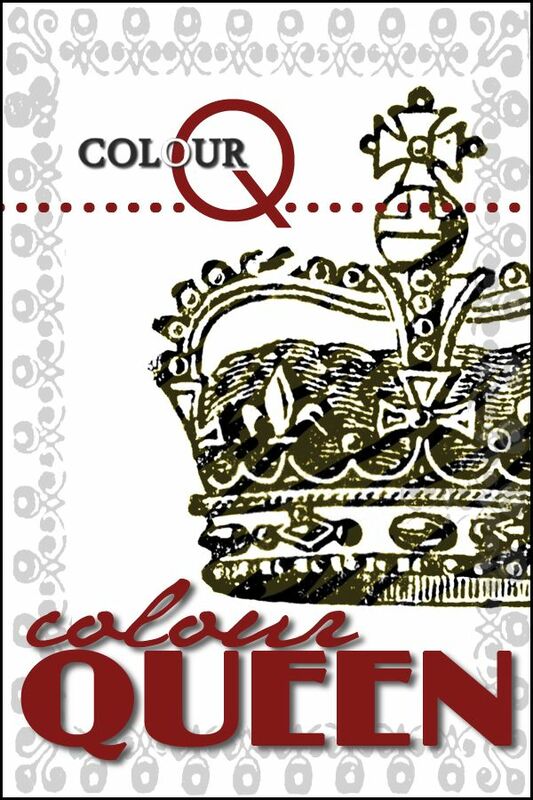 This time, I thought I'd make it a more masculine card and substituted Kraft for the base, Chocolate Chip for the layering and the images are stamped on Very Vanilla using Chocolate Chip and Close to Cocoa inks. I also used that damned twill tape that I bought on my VERY 1st SU order over a year ago. I have immense trouble using this tape, I don't know how many times I have pulled it out, only to put it away just as quick. The piece I have used is actually the smallest width cut in half. It was too bulky to use as is and it gives it a bit more of a manly vibe than ribbon. This is the second 'kit' card. Base is Rose Red, matting Certainly Celery. 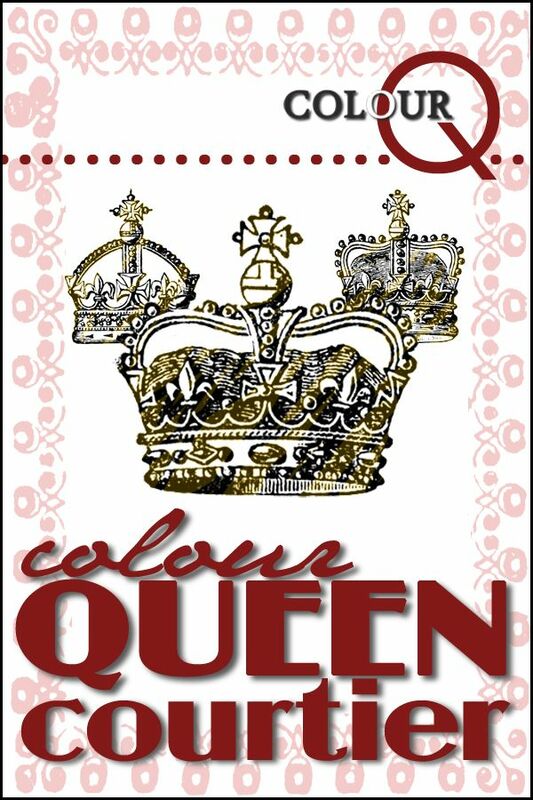 Ink is R/Red, T/Turquoise and C/Celery. Again, ribbon tying took ages, but as you can see, I also had trouble lining up the 'ribbon' image. (Sorry, the photo is a little blurry - didn't realise until I went to post and it's too late to take any more). As I was putting this one together, I thought to myself, wouldn't it look cool 'blinged out'. This lead me to the next sample. I love black and pink together. For this I've subsituted Basic Black for the card base and Pink Passion for the matting. Since SU don't have any P/Passion ribbon (& I couldn't be bothered dying white to pink) I used black & white gingham. I stamped the image using black on W/White, (I cheated and used one of my old black pigment inks), covered with Heat & Stick powder, heated with heat tool to make it sticky and then covered in Dazzling Diamonds glitter. I used P/Passion for the ribbon (again, practice did not make perfect, LOL) Isn't it pretty? It is really, really sparkly IRL. Oh, sentiment is stamped in P/Passion too. That's all for tonight, the dishes need doing before going to bed and I'm mega tired today. Had to be up early (5.30 am) for a job interview (which I think went well) and I got hardly any sleep because I couldn't stop my mind from buzzing! Hate that. 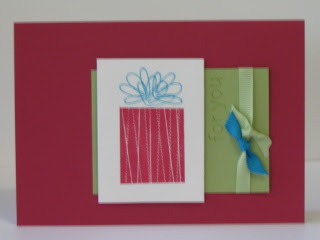 Fab cards, I love how youve done them in different colourways, for different looks! They are gorgeous!